Sydney, Australia - December 15, 2010 - AMD (NYSE: AMD) today introduced the AMD Radeon™ HD 6900 series, its most advanced enthusiast GPU representing the intelligent choice for enthusiast gamers. The AMD Radeon™ HD 6900 series of graphics cards provides gamers with an enhanced second generation Microsoft DirectX® 11-capable architecture for breakthrough performance, advanced image quality features for the best looking games, and innovative AMD PowerTune power management technology that dynamically adjusts power draw on the fly. With the most flexible and cost-effective solutions in AMD Eyefinity multi-display technology and AMD HD3D technology for 3D entertainment, the new AMD Radeon™ HD 6900 series of graphics cards offers the ultimate visual experience. 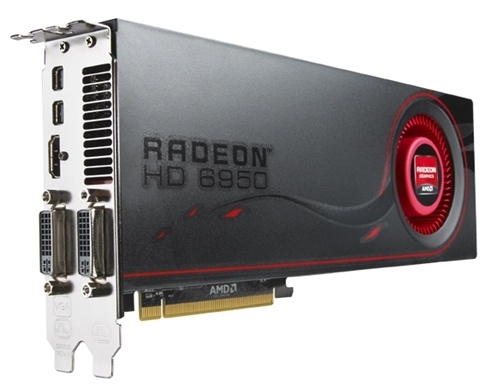 The AMD Radeon™ HD 6900 series is available immediately from retailers worldwide. "The AMD Radeon™ HD 6900 series features the industry's only second-generation DirectX® 11 architecture, new image quality improvements and 2GB of graphics frame buffer, making it the intelligent choice for gamers and enthusiasts," said Matt Skynner, corporate vice president and general manager, GPU Division, AMD. "Delivering DirectX® 11 performance with intelligent tessellation, image quality improvements with new anti-aliasing modes and even intelligent power consumption with AMD PowerTune, the AMD Radeon™ HD 6900 series will top gamers' wish lists this holiday season." • Improved architecture for greater performance: With the AMD Radeon™ HD 6900 series, AMD has further improved its GPU design efficiency, realizing a 10 percent improvement in performance/mm2.1 The AMD Radeon™ HD 6900 series provides an extremely smooth and efficient computing experience, allowing gamers to realize unparalleled image quality. • Increased memory for higher image quality: With 2GB of video memory serving as the new standard for graphics card frame buffers, gamers see better quality without needing to increase the memory footprint, even at extreme resolutions. • Improved image quality: Enhanced anti-aliasing features deliver dramatically improved image quality and enhanced visual quality features for the most realistic looking games possible. New features include Enhanced Quality Anti-Aliasing (EQAA), which uses a new sampling technique to improve visual quality, Morphological Anti-Aliasing (MLAA), compatible with any DirectX 9, DirectX 10, or DirectX 11 application, and improved anisotropic filtering. • Simple, flexible, affordable multi-display computing with AMD Eyefinity technology: Providing an expanded and more immersive field of view, AMD Eyefinity technology continues to be the most affordable multi-display solution available, offering incredible choice in display compatibility and configurations.6 More than 60 game titles have been AMD Eyefinity-validated or are AMD Eyefinity-ready titles, and hundreds more are AMD Eyefinity-compatible. • Continued industry leadership in multi-display computing: The AMD Radeon™ HD 6900 series of graphics cards offer support for both DisplayPort 1.2 and HDMI 1.4a, offering enthusiasts incredible multi-monitor configuration options, flexibility in display selection, and new DisplayPort audio features. • Enhanced video quality features: The AMD Radeon™ HD 6900 series graphics cards feature Unified Video Decoder 3 (UVD3), a dedicated video playback accelerator that helps users get the most out of HD video, online video and Blu-ray™ 3D, while enjoying a range of video quality improvements such as advanced post-processing and scaling, dynamic contrast enhancement, color correction and more. • Extensive support of industry standards: AMD Radeon™ HD 6900 series graphics cards fully support DirectCompute and OpenCL™, ensuring broad application support now and in the future.